This is another no-pastry quiche which Mum collected from the New Idea. 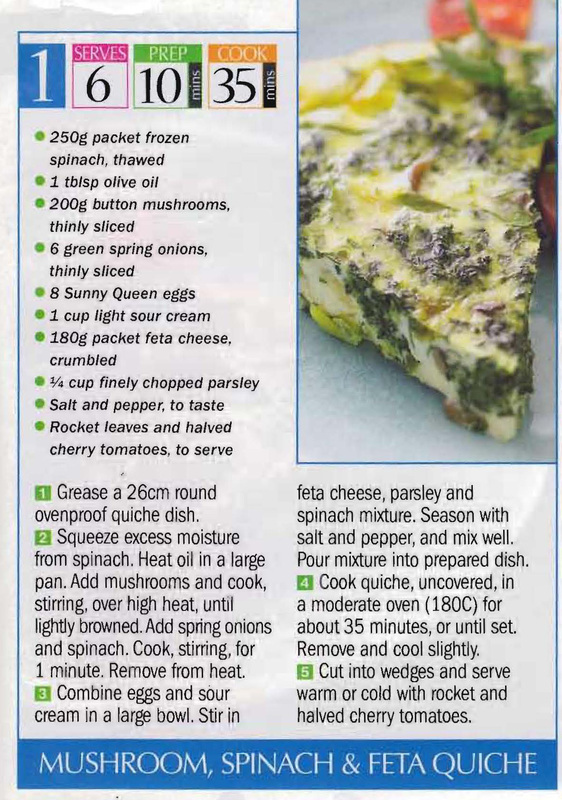 I’m not sure what the difference between a quiche without pastry and a frittata is. 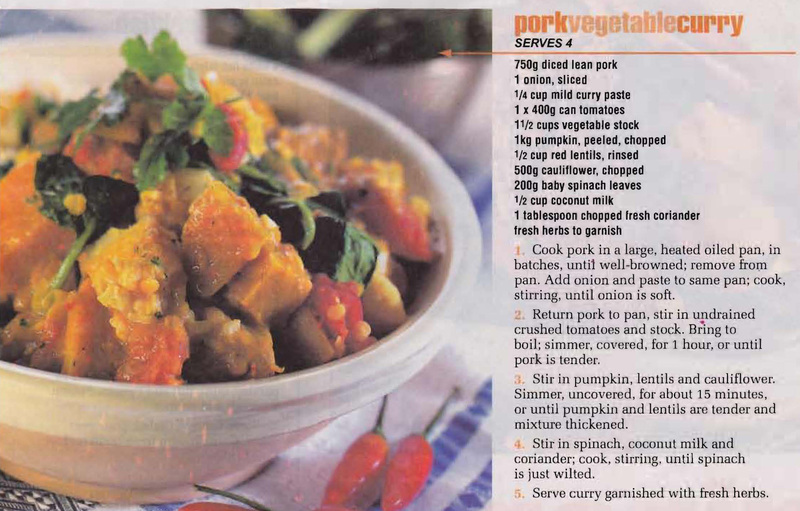 I suspect it’s just the country it’s made in – Quiche, Australia – Frittata, Italy. What do you think? 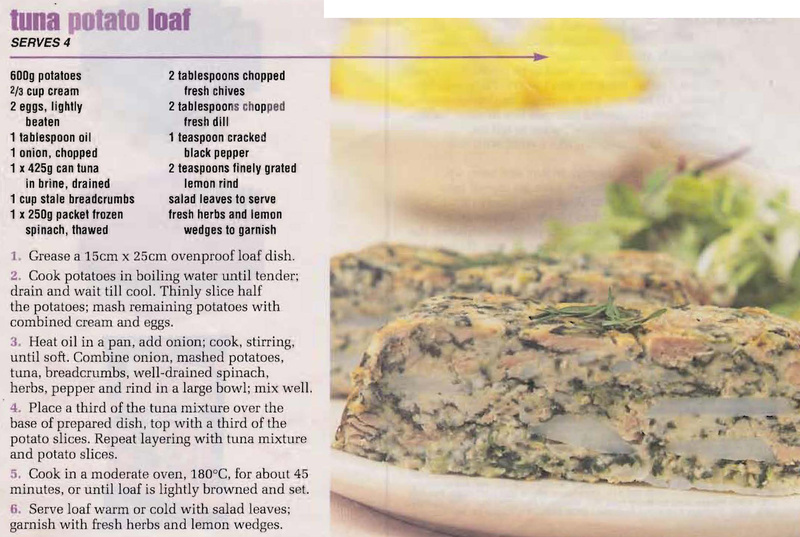 Mum mainly used tinned tuna to make tuna mornay which she served on toast, but this Tuna Potato Loaf recipe from the Woman’s Day must have caught her eye as she cut it to make. 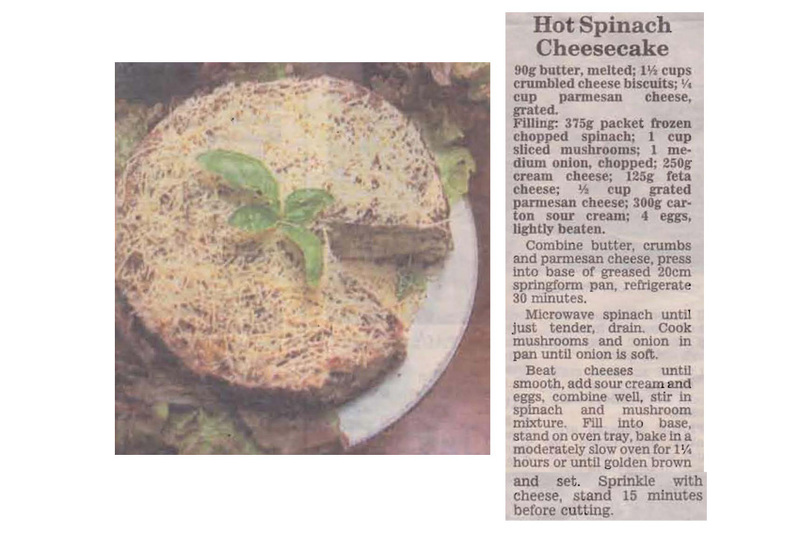 Not the usual cheesecake, this recipe combines cream cheese, feta cheese and parmesan cheese with spinach, mushrooms and onion to make a great savoury dish.